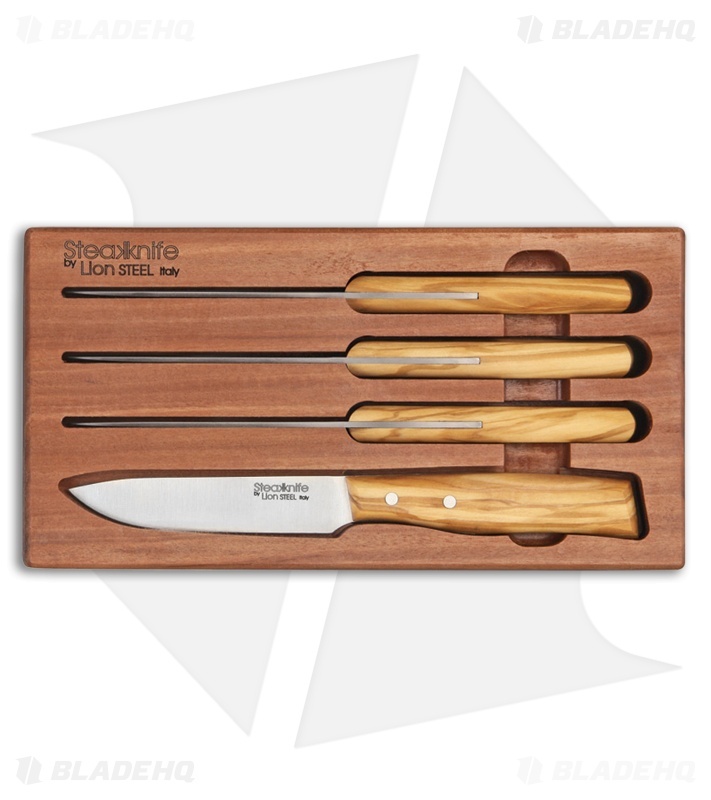 The LionSteel 4-Piece steak knife set with olive wood handles are an elegant addition to any dining room table. Made with 1.4116 stainless steel, you can easily slice your meal into bite size pieces. 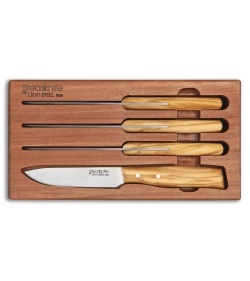 Smooth, rounded olive wood handles are comfortable in hand with an intricate grain structure. Easily store your LionSteel steak knives with the included Cedar storage board.